The bounty of New England, in the form of a clambake. Photo courtesy of Holly McCann. Where can you get the best lobster in Maine? The answer depends on a variety of factors. Do you want to buy live lobster fresh off the dock and cook it yourself or do you want to sit back and have someone prepare it for you? If you are dining out, are you looking for a rustic Maine lobster shack or a fine dining experience? Finally, what time of year are you visiting Maine and how far are you willing to travel? Enjoying lobster is a multi-layered experience. The lobster itself must taste delicious but the atmosphere in which the lobster is consumed can also play a powerful role in your level of enjoyment. Rustic lobster shacks and ritualistic experiences like lobster bakes (aka clambakes) can help us feel more connected to the earth and serve as a refreshing antidote to an increasingly fast-paced, urban life. When people ask me what is the best tasting lobster in Maine, my answer is any lobster plucked fresh from the ocean that has a tender texture and a sweet, briny flavor. A lobster’s texture and flavor are largely influenced by the temperature of the ocean and the lobster’s molting cycle. Colder waters, like those along the coast of Maine, tend to produce the most flavorful lobsters. These lobsters reach a peak in sweetness and tenderness right after they molt. Freshly molted lobsters, called new shell or shedders, have less meat than a hard shell lobster but the quality of that meat is sublime. Some Maine restaurants and eateries serve new shell lobster exclusively because they believe the flavor is so superior. Lobster is served at a range of eateries along the coast of Maine, from fine dining restaurants to rustic coastal shacks with stunning ocean views. Many people prefer eating lobster ‘in the rough’ – feasting on lobster rolls or a shore dinner from a takeout tray while sitting on a picnic table – as it reminds them of simpler times or evokes warm memories of childhood vacations in Maine. The below list of recommendations just scratches the surface of the many amazing places you can experience ‘the best’ lobster in Maine. It is based on the assumption you will be visiting Maine in or around the peak of the Maine lobster season, when Maine’s finest lobster shacks are open and new shell lobster is in steady supply. Bon Appetite! Southern Maine Lobster Shacks: There are a plethora of rustic ‘shacks’ just a short drive into Maine where you can unwind and enjoy lobster in the rough. Chauncey Creek Lobster Pier, in Kittery Point is no more than an hour’s drive from Boston and offers lobster dinner dining on a pier overlooking the water. Barnacle Billy’s in Ogunquit, The Lobster Shack at Two Lights in Cape Elizabeth and Harraseeket Lunch and Lobster in Freeport are three other classic ‘roll your sleeves up’ lobster eateries with postcard perfect views. The Clam Shack in Kennebunkport doesn’t offer ocean views but does serve one of the best lobster rolls in America. 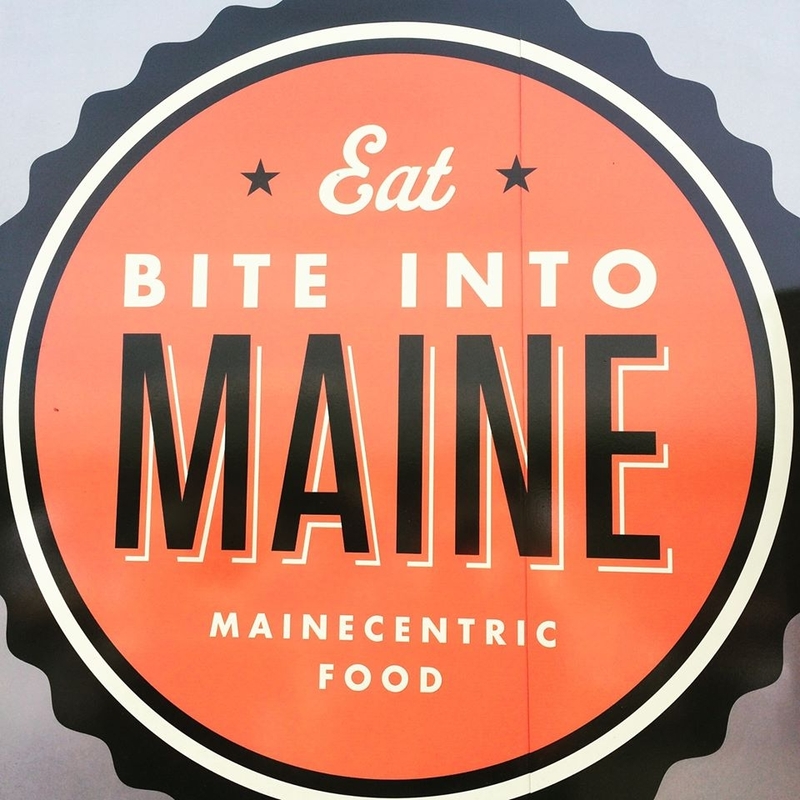 In Portland, Bite Into Maine, Portland Lobster Company and Eventide Oyster Co. consistently get mentioned as the places to go for a tasty lobster roll. Fine Dining and Unique Lobster Experiences in Southern Maine: Portland Maine is a foodie’s paradise and a great place have a more unique or high-end Maine lobster experience. Head to the Holy Donut on Park Avenue to experience lobster donuts or to Zapoteca for lobster guacamole. For more gourmet lobster dishes check out Fore Street or Street and Co (their menus change daily) or head to Five Fifty-Five and try their truffled lobster mac and cheese. If you’re in Freeport and in the mood for fine dining, I definitely recommend having dinner at Maine Harvest in the Harraseeket Inn. They offer a variety of inventive lobster dishes as well as an amazing, award-winning lobster stew. In Ogunquit, The White Barn Inn serves poached lobster in a white table cloth setting while the Inn By The Sea in Cape Elizabeth host lobster bakes and serve lobster shrimp dumplings in their Sea Glass restaurant. Buying Fresh Lobster in Southern Maine: If you want to purchase live Maine lobster while in Portland or have it shipped to you from Portland try Get Maine Lobster, Cozy Harbor Seafood or Calendar Islands Maine Lobster. If you want to have live lobster delivered from Kennebunkport, Cape Porpoise Lobster Co. is a good option. You can even purchase freshly packed live Maine lobsters to bring home on your flight at Portland Airport. 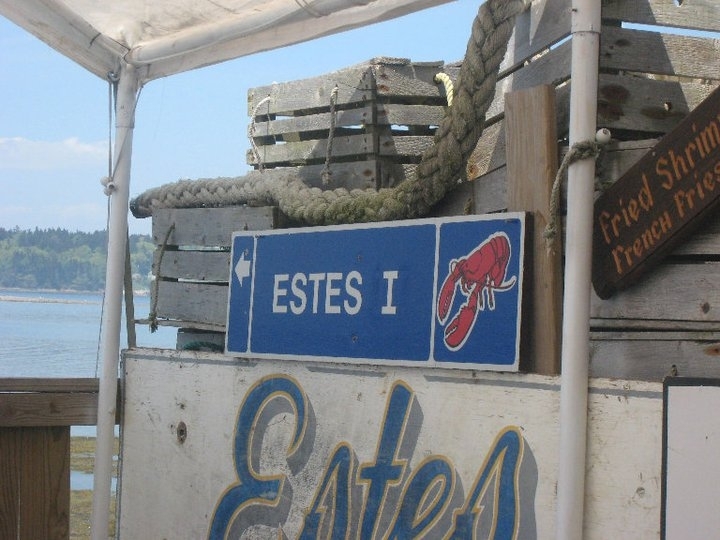 Midcoast Maine Lobster Shacks: Probably the most famous lobster shack in Midcoast Maine is Red’s Eats in Wiscasset. It’s more of a roadside hut than a shack but it serves lobster rolls so sublime people are willing to wait up to an hour in line for one. For rustic lobster shacks with stunning coastal views try Waterman’s Beach Lobster in South Thomaston, Shaw’s Fish and Lobster Wharf in New Harbor, Estes Lobster House, Harpswell Neck or Five Islands Lobster Co. in Georgetown (possibly the most picturesque place to enjoy a lobster dinner in Maine, period). 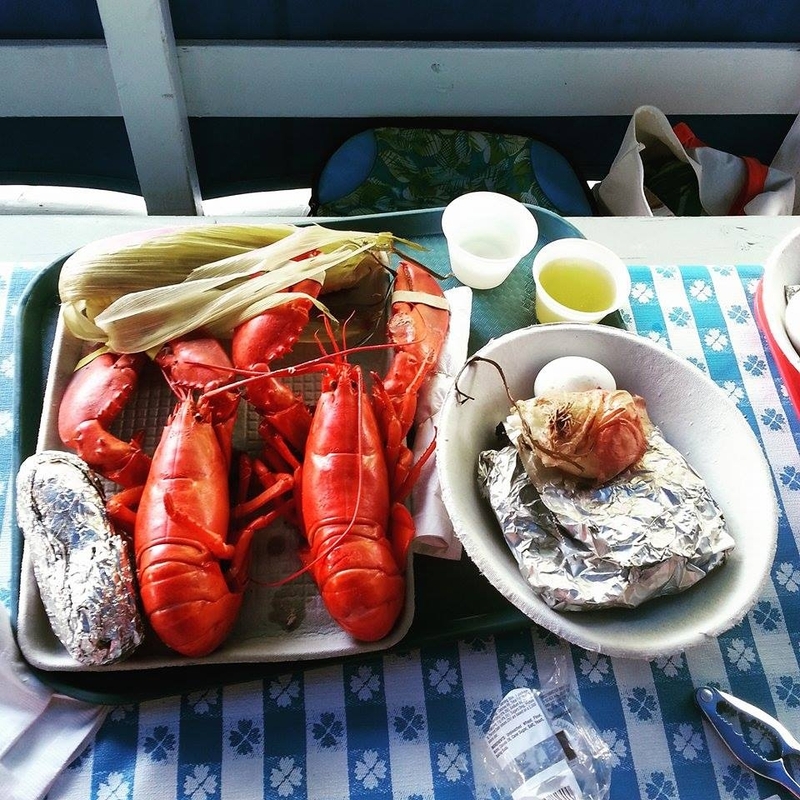 Fine Dining and Unique Lobster Experience in Midcoast Maine: If you are visiting Boothbay and are looking for an authentic, historic lobster experience, try a Cabbage Island Clambake. For farm-to-table fine dining on a remote island, Nebo Lodge on North Haven offers an inventive, seasonal menu, featuring dishes such as Maine Lobster Bohemienne, with Cognac Cream Sauce, Maine Corn Pudding and Corn Muffins. Natalie’s in Camden offers a five course Lobster Tasting Menu that changes daily. Rockland is the place to be in early August when it hosts to the Maine lobster festival. Each year, over 20,000 pounds of lobster is served to hungry visitors in the form of shore dinners and lobster rolls while a plethora of lobster-themed events – from lobster crate races to a lobster cooking contest – take place. For a more low key summer festival which celebrates the Maine lobster season, check out Friendship Day in Friendship Maine. Vinal Haven and Monhegan are two beautiful islands with thriving lobster fishing communities which you can easily visit via ferry. Buying Fresh Lobster in Midcoast Maine: If you want to purchase live Maine lobster from midcoast Maine or have it delivered to you via Fed Ex try Sea Hag Seafood in Tenants Harbor or Hancock Gourmet Lobster in Topsham. Many fishermen will also be willing to sell you fresh lobster off the docks. The Winter Harbor Lobster Festival. Downeast Maine, which spans from Searsport to the Canadian boarder, is perhaps the final stretch of undeveloped coastline on the entire US eastern seaboard. Beyond Bar Harbor, most of the coastal towns in this part of Maine are authentic working lobster fishing villages where tourists are welcome but the communities aren’t based on tourism. My home town, Cutler, has no restaurants or gift shops, just a beautiful harbor filled with lobster boats and salt-of-the-earth fishermen who are usually happy to engage visitors in conversation as they unload their daily catch. Downeast Maine Lobster Shacks: If you are visiting Mount Desert Island (MDI), Abel’s Lobster Pound and Thurston’s Lobster Pound both offer delicious lobster rolls and dinners ‘in the rough’ with beautiful coastal views. Bagaduce Lunch in Brooksville is a great no-frills take out with excellent lobster rolls, a variety of fried seafood baskets and views of the tidal river in Brooksville. If you manage to make it waaayyy Downeast, Quoddy Bay Lobster in Eastport is a fantastic, family-run fish market with views of the harbor and lovely fresh lobster rolls. Fine Dining and Unique Lobster Experiences in Downeast Maine: Fine dining restaurants are thin on the ground in Downeast Maine compared to the rest of the state but they do exist. Aragosta (‘lobster’ in Italian) in Stonington is a wonderful farm-to-table restaurant which often features lobster ravioli and steamed lobster. On MDI head to the Asticou Inn’s restaurant for lobster poutine and lobster omelets. You can also enjoy lobster ice cream (yes, ice cream with real lobster in it) while you’re on MDI at Ben and Bill’s Chocolate Emporium. If you are passing through Machias, both Helens and the Bluebird Ranch serve lobster dinners in relaxed settings. In Lubec, Water Street Tavern often has a lobster entrée on the menu. 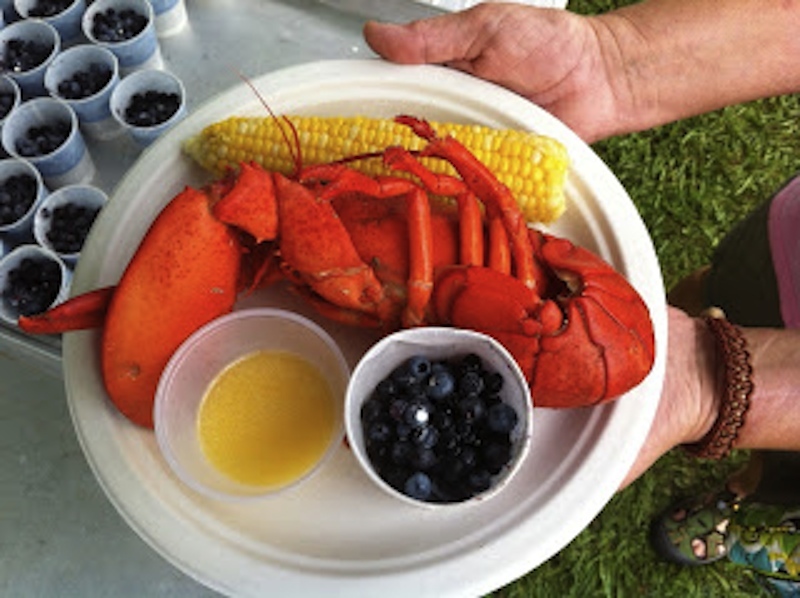 If you come to Downeast Maine in August, the Winter Harbor lobster festival is worth a visit. The beautiful island of Frenchboro also hosts a small lobster festival to celebrate the Maine lobster season. A lunch time ‘lobster dinner’ is a focal point of both these events. Buying Fresh Lobster in Downeast Maine: If you want to buy live lobster while you’re Downeast or have it shipped to you try Dorr Lobster Co. in Milbridge, Greenhead Lobster in Stonington or Lyon’s Seafood on Beals Island. In Cutler, Little River Lobster Company sell lobster to visiting tourists. Local fishermen in the quaint fishing villages of Stonington, Winter Harbor, Corea, Jonesport, Beals, Lubec and Cutler might be willing to sell you a few fresh lobsters when they come in to dock and unload their catch – just be mindful that they’ll likely want to sell those lobsters for the going market price vs. the boat price. Thanks for this very helpful article, Christina. I appreciate all the little details you’ve included and especially the regional breakdowns as well as the differentiation between the types of experiences in each region. It shows tremendous thought, organization and insight. I also had a question for you. There’s an ongoing debate between steamed vs. boiled lobster as I’m sure you’re well aware. From what I’ve read so far, I lean toward the steamed side. Yet, as I check with the most popular lobster shacks most seem to boil and few steam. What are your thoughts, and do you know which lobster shacks actually steam? Thank you so much for the feedback. It took me quite a while to decide on the best approach for writing this article and I’m so glad you like the regional breakdown and the little details. As for cooking, I am a HUGE fan of steaming as I believe it is a gentler method leads to slightly more tender meat. We’ve always steamed lobster in my family. I have a post on the cooking section of this site on how to steam lobster and why I think it’s one of the best methods for cooking lobster. Thanks again for the feedback! Actually, without realizing you had written the article recommending steaming, I became convinced after reading it that that was the way to go! I appreciate the wine pairing suggestions as well. Being near the wine capital of the country, Napa, I have access to the best California chards. But I’m visiting Maine in early October, and would love to try steamed lobster at a shack in the lobster captital of the country. Any recommendations? Hi. I want to take a trip up to Maine this summer and go to the docks and buy from the boat and then go some place and cook them up. Should I go to Topsham? Where would you recommend? I want this to be an adventure! Sorry it’s taken me a while to reply to this. Many fishermen would be happy to sell you a few lobsters “off the boat” as long as it’s a fair deal (meaning they will likely want to charge you the market price vs the boat price). So almost any fishing village along the coast of Maine would work for that. I’m not sure about where to cook them. Are you staying at a hotel or a cottage while you’re visiting? 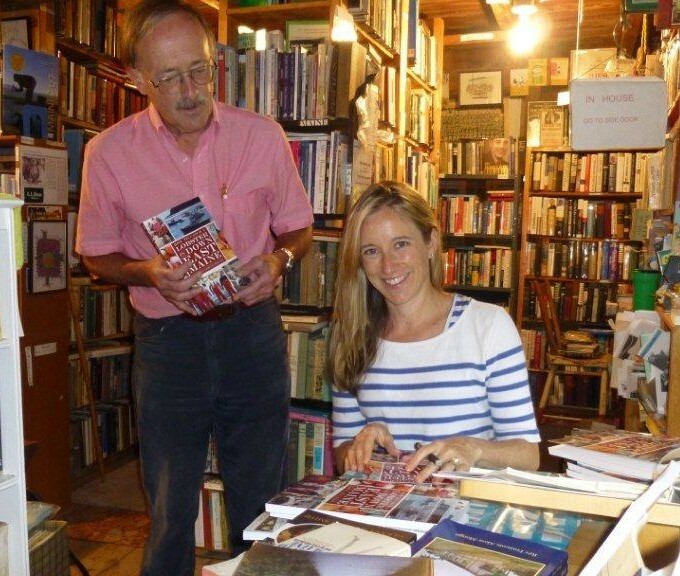 Why did you mention Topsham specifically? Thanks for the reply. I can understand the desire (as a consumer) to get a better deal/price by purchasing lobsters directly from a fisherman and some fishermen may well be willing to sell you lobster at the ‘boat price.’ That said, there’s no advantage to a fisherman selling his lobsters to you as he’d already get the boat price from his lobster dealer for those lobsters (the person he sells his lobsters to in bulk). Hopefully I’m expressing my self well. Some fishermen will be happy to sell you lobster at boat price. My father sometimes does if a person is polite and interested and my father is not in a rush to unload his catch. Other times my father/fisherman are too busy or don’t want to bother with selling directly to a consumer at the boat price as it takes time out of their day without offering a financial incentive. Ok, so then I take it that buying lobsters on the dock from the fishermen at a favorable price is pretty much a myth and not to waste time going to Maine or to the docks. I will go ahead and comment to others like myself of your comments and the rhetoric of the Maine tourism industry. I wouldn’t say it’s a myth or that it’s a waste of time going to Maine and/or to the docks. And it will certainly be cheaper to buy lobster from a wharf/dock owner and/or a fisherman than to buy lobster from a retailer outside of Maine. And some fishermen may well sell lobster to you at the same price they sell them to their dealer. It’s just not a given that fishermen will sell you lobster at the ‘boat price’ which is what I’ve been trying to explain (though seemingly poorly). I’d hope that wouldn’t put you off taking a trip to Maine! Wow… a little rough Joe… it’s the experience… of you can’t afford lobster then don’t buy it. Fisherman need to make a living too! My wife and I are preparing to take a trip out to Maine from the Midwest. Your article is EXACTLY what I have been searching nearly a month for. A no frills, unbiased guide to the best Maine has to offer, broken down by area of the state. Most sites guide you to the most popular statewide, yours directs to the best even if it’s not as popular as say, Red’s. I also love that you included where to get fresh uncooked lobster to take home. My mouth is watering just thinking of it. Thank you for your kind words. I hope you have a wonderful trip to Maine!